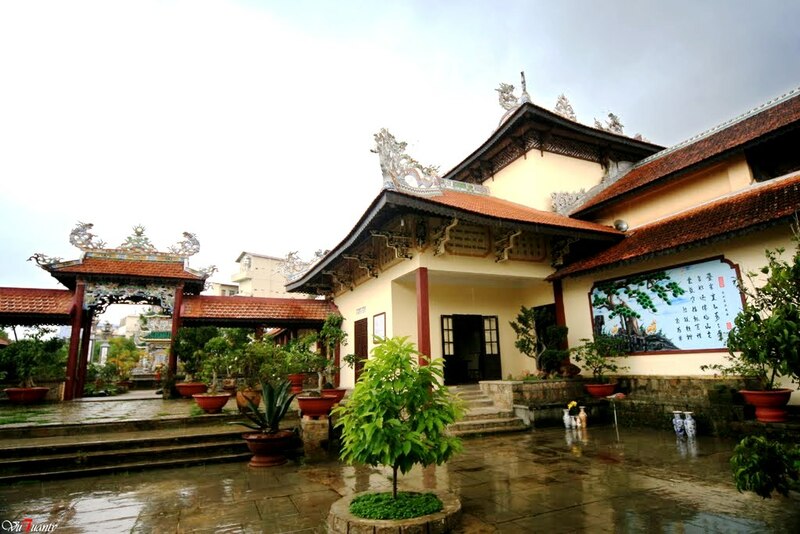 The beautiful and sacred pagoda of Linh Son is located at 120 Nguyen Van Troi, Ward 2, on a hill of 700 kilometers to the Northwest of the center of Da Lat City. The 4-hectar pagoda, beginning its construction in 1983, is a unique architectural site of several separate works. The headquarters of Lam Dong's Buddhist Association is operated there. 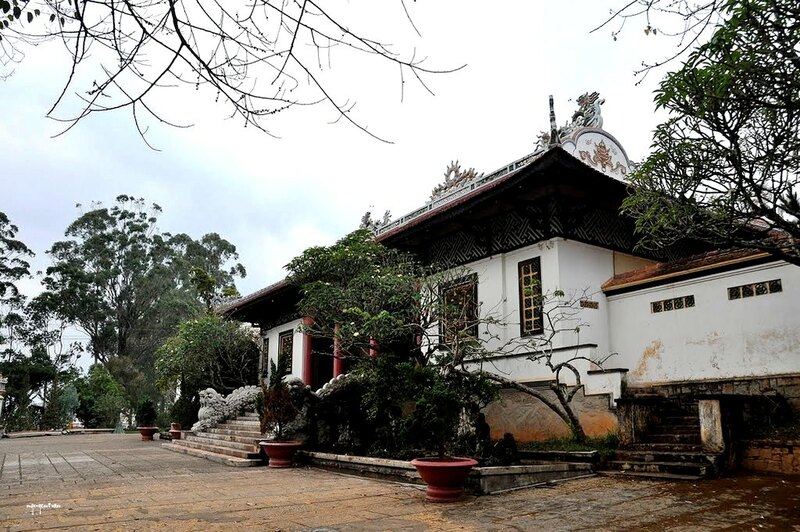 From the three-door gate, visitors will saunter along the cart-track among high ranges of Pines, Eucalyptus and Hopea Odorata trees to the pagoda yard. Respectfully placed at the front yard is the statue of Bodhisattva Kuan-yin (Bodhisattva of Mercy) standing on an enormous lotus. 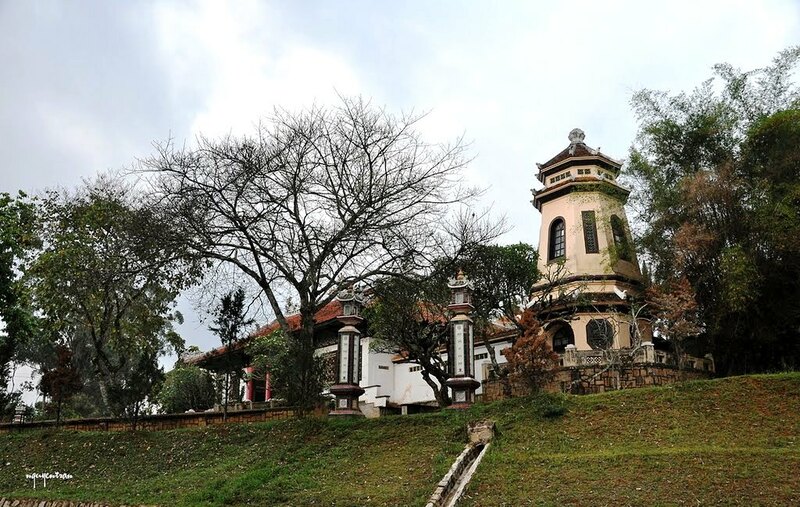 Right of the statue is an octagonal 3-floor tile-roofed tower at a height of 4 meters. There is also a lake on the left side with elaborate Penjing works (miniature trees, rockery and landscapes) and valuable bonsai trees around. At the center of the shrine is the holy altar with a pair of dragon statues flanking, the symbol of the Dragon Colossi in Buddhism. 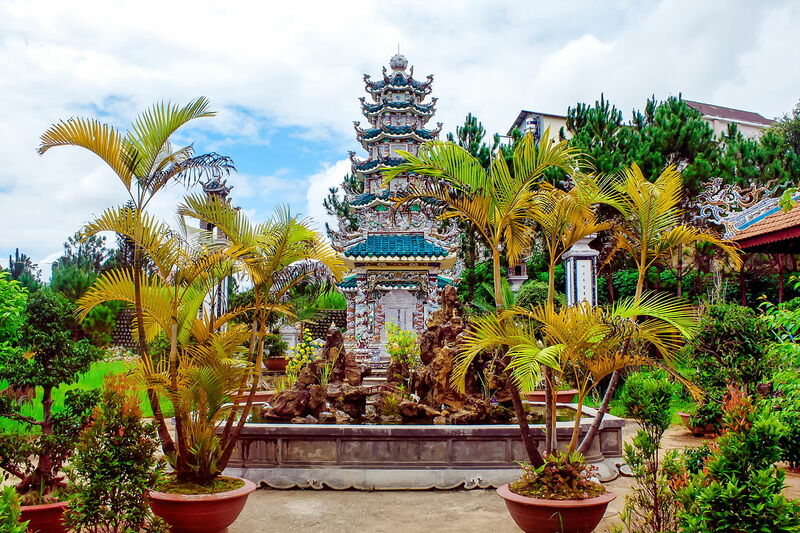 Linh Son Pagoda specific architecture is the Oriental style of simplicity and harmony. The two sides of roof edge are decorated with two dragons flanking the Moon. At the forecourt is a pair of wooden paralleled sentences to honor the Buddhist theories. 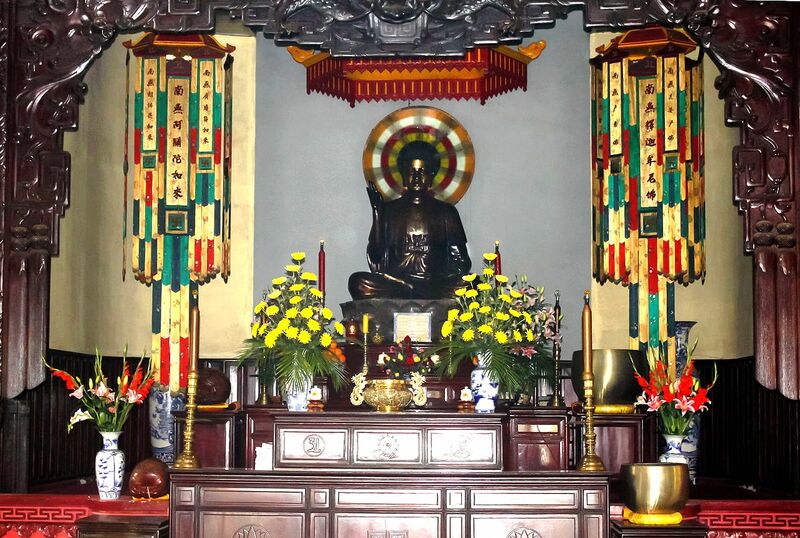 The shrine is solemnly decorated with a huge statue of Buddha Sakyamuni preaching on a lotus podium in the center. The over-1.2-ton copper statue was casted in 1952 and inaugurated under the presidency of the Superior Monk Thich Tinh Khiet, Leader of Vietnam General Association of Buddhism. The pagoda has been ruled by generations of Master Monks: Monk Thich Tri Thu (ruling in 1940), Monk Thich Dieu Hoang (from 1940 to 1947), Thich Tu Man (1947-1952), Thich Bich Nguyen (1952-1964) and Monk Thich Tu Man since 1964 until now. 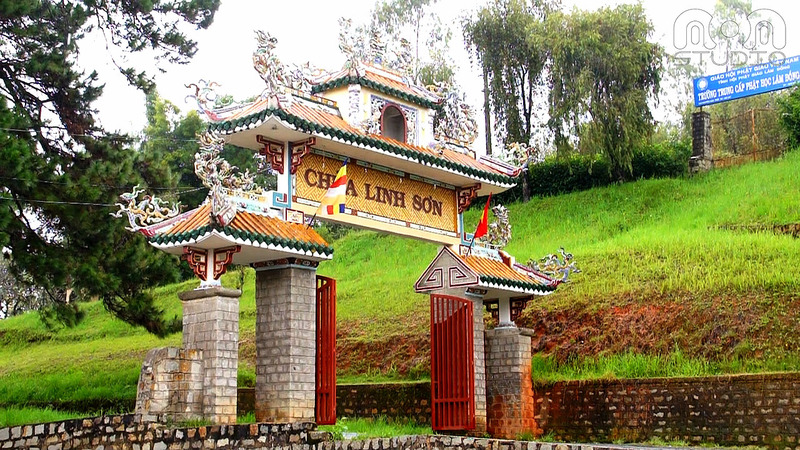 The pagoda of Linh Son is considered a famous tourist attraction in Da Lat, welcoming thousands of tourists and Buddhists yearly.